Our luxury establishment, Sa Creu Nova, located in the south of Mallorca and only a few minutes away from the most desired beaches on the island, ends its first season with a golden key, ready to reopen on March 21st with many new features to offer. The entire management team is working hard to return next spring and continue to offer its clients the hotel’s wonderful facilities. 16 luxurious rooms; a separate 110m2 presidential suite with its own kitchen, ideal for events, presentations and private show cooking; a fantastic SPA; the pool with its turquoise water, just like the famous Es Trenc beach, plus the hotel’s two restaurants, Tess de Mar, offering creative Mediterranean cuisine and Kairiku, the only Japanese Omakase restaurant in Mallorca. 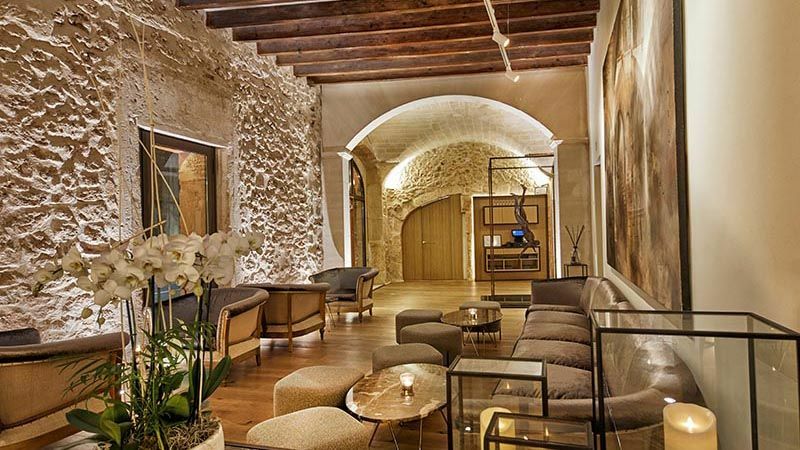 This Boutique Hotel in Mallorca was born from the conversion of a Mallorcan manor house, resulting in a fantastic, luxury, inland hotel in Mallorca. The sensations it conveys to visitors are of absolute peace and tranquility, with spaces dedicated to works of art by different, internationally renowned artists. This small palace offers the guest its hallmark values – tradition and modernity. A luxury hotel in the South of Mallorca, where you can experience sensations at the highest level. Put it in your calendar, we return on March 21st with renewed energy to continue receiving our customers and friends, in an oasis of luxury and tranquility in the south of the wonderful island of Mallorca.